Weather/Conditions: A nice day generally, with hazy skies. Baltic on the climb itself! Gusty winds added to the sense of being out-there! 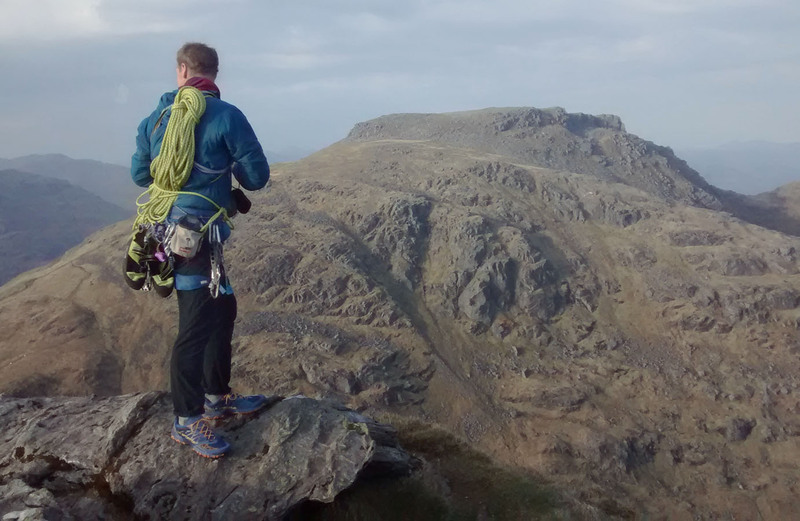 I met Dan for an afternoon of clmbing on the Cobbler. I spent the first half of 2017 driving up and down to Glasgow all the time (and still do to an extent). So for once, I turned off at Tarbet and drove to Arrochar to meet Dan. We walked in on a nice afternoon with good weather conditions. The obvious choice was Whither Wether as I hadn't done it, and neither had Dan. It's given VS and known for having one of the best situations at the grade. 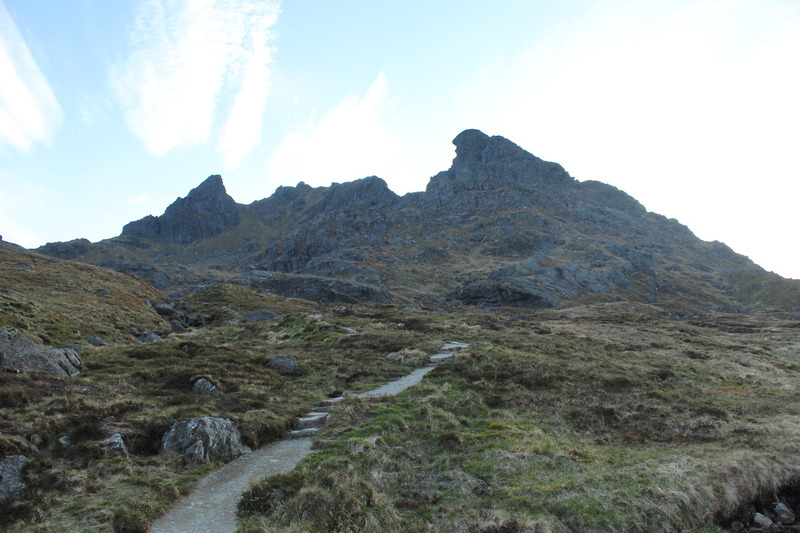 En route we stopped by the Narnain boulders - I had a quick nip up Crucifix. Good to see it go down so quickly, it was a few years since I climbed this. We walked up to the foot of the North Peak with a lot of good conversation to let the time go by. We scrambled to the foot of Wether Wall, and Dan took this first pitch. Once at the top, I heard a faint shout, and I followed up. The main event of the day for me was the Whither Wether pitch - a massive line climbing up the side of the North Peak prow. 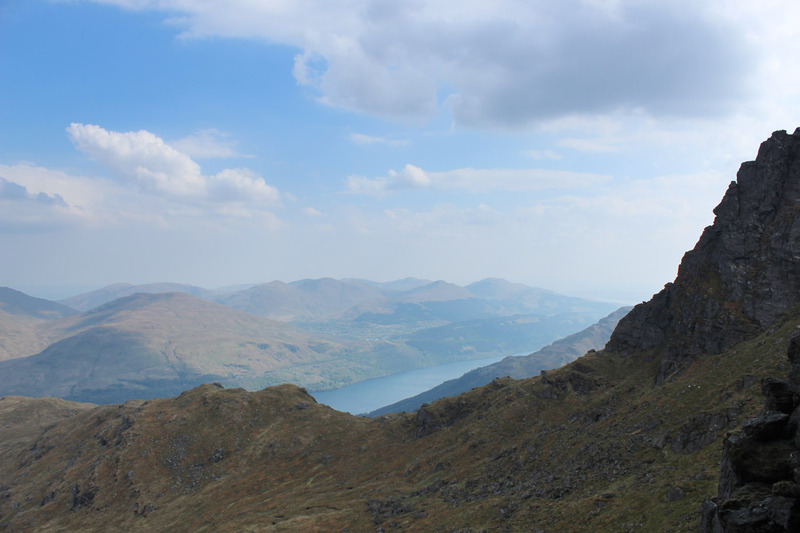 When I started hillwalking and used to come here, I thought of it as like being a huge lion, mouth gaping open, looking south. I don't think it even crossed my mind that you might climb up here at a reasonable grade. I don't think I knew what grades really were. I wouldn't have appreciated at the time that Whither Wether is a long slab, covered in jugs, and I wouldn't have known what the grade or technical difficulty was. Now VS is a walk in the park and this pitch should be easily doable. In the end I have to say, it certainly wasn't a walk in the park. VS perhaps, but it's just so damn big! I went wrong initially, climbing right around the corner to search for a belay. This led to some confusion and lost time. 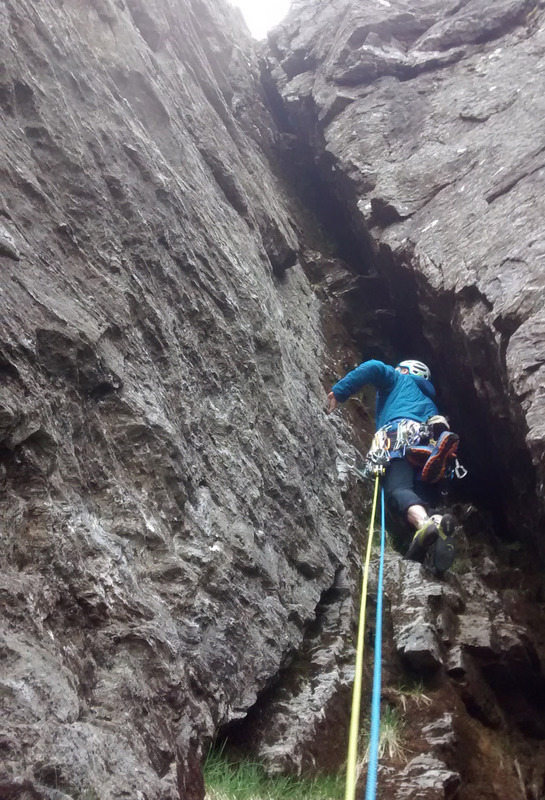 But then a closer look at the guide revealed it climbs direct from Dan's belay and around the arete out of sight. The climbing that followed was just brilliant. Always just protected enough, but alternating between 'some gear' and 'massive runouts on easy ground'. Highly exhilarating! I probably over-controlled my movement: a strong and gusty wind would come and literally knock me to the side. And it didn't stop either, so imagine being perched here out on the edge, with the ropes snaking away out of sight to gear far below, being pushed around by the wind. Happily I was holding onto jugs, so fear factor was very low. But I was careful all the same. After an eternity it seemed, I topped out by the summit of the North Peak. I plugged some nuts in the crack beneath the overlap and shouted back to Dan. He was a long way out of sight. But the arrived up in time, and we coiled ropes and walked back to the bags at the bottom. An absolute quality pitch at the grade. VS leaders beware!